A Category 4-5 hurricane for 102 hours, which is the longest that a hurricane has maintained Category 4-5 strength on record during October in the Atlantic basin. 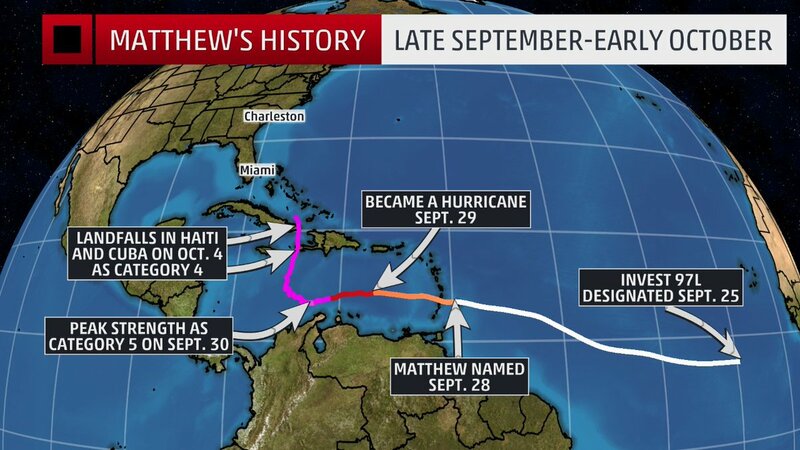 The longest-lived major hurricane since Hurricane Ivan (2004). No hurricanes on record have made landfall north of Miami along the east coast of Florida in October and no major hurricanes have made landfall since Wilma in 2005. Each of these records has the potential to be broken in the next few days.